One of my favourite press cuttings, yes I’m old, is of me and my school friends with a card we made and sent to Prince Charles and Lady Diana Spencer when they got married in 1981. Hey, we got our picture in the paper, my first taste of ‘fame’! Also in the family archive is a photograph of me and my sister sitting on the front wall of our old house. The wall had been painted for the Queen’s Jubilee in 1977 and my mum had stuck a poster up in the front window for the Royal Wedding. We were a patriotic family. Last year I attempted to recreate this photograph with my son and niece for the wedding of Prince William and Catherine Middleton so the theme had to be continued for the Diamond Jubilee. 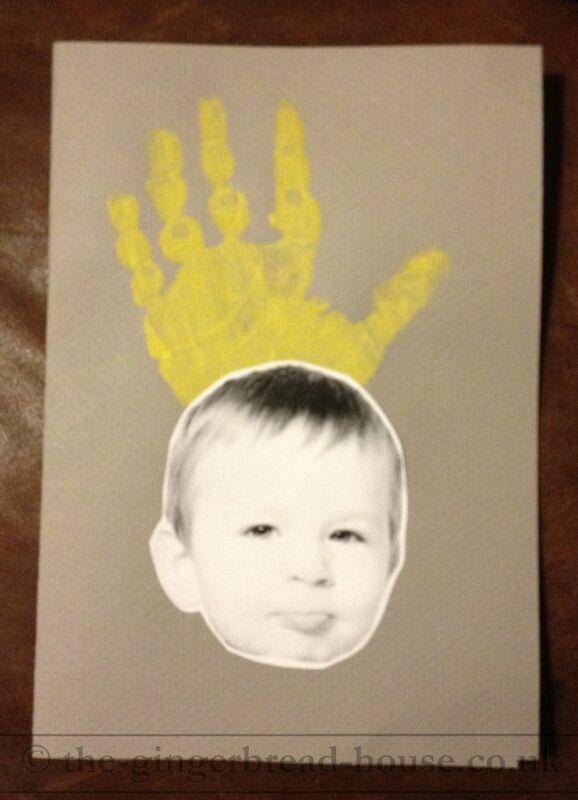 Given our current love of hand prints we attempted to make the toddler’s hand print look like a crown. I’m not sure how entirely successful we’ve been but never mind. In this case it’s definitely the thought that counts. Then we sent our picture to the Queen. Whilst we were away on holiday we received a special Diamond Jubilee card from Buckingham Palace thanking us for our letter. It’s a lovely keepsake as we really didn’t do much for the Diamond Jubilee except bake some Jubilee inspired cakes and eat them whilst watching all the processions and pageantry on the television!